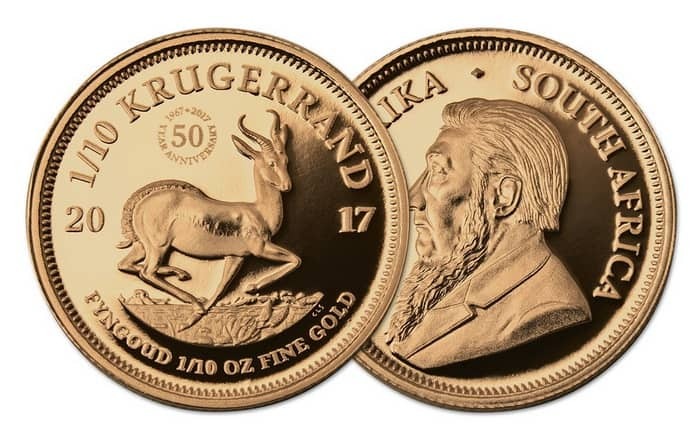 Gold Krugerrands began to be issued in South Africa in 1967, and the coins were named after Paul Kruger, President of the South African Republic (Transvaal Republic). The predecessors of these coins were the Transvaal sovereigns (1925-1932), which also minted by gold. 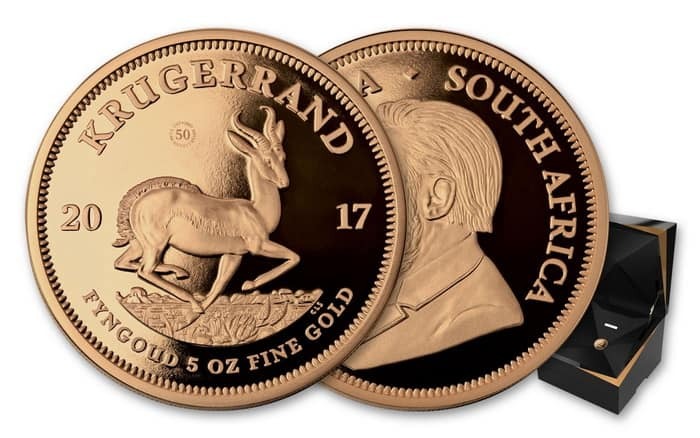 Despite the fact that the South African Krugerrands have official payment status, they are more likely commemorative or investment, since they have a high gold content and correspondingly high cost. The first, 1967 edition of the Krugerrands was 40,000 coins and additional 10,000 coins as a proof. 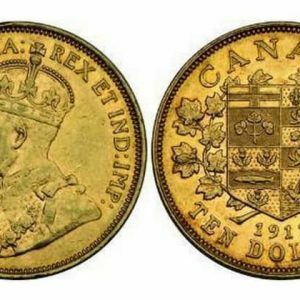 During the next two years, 20,000 coins were issued, and in 1970, 211,000 coins. Since 1971, the circulation has increased to 550200 coins, and in 1972 to 543700 coins. The portrait of Paul Kruger was created by Otto Schulz, coins’ engraver and sculptor of the Berlin Mint. The first coins for South Africa were minted there in 1892. Schultz’s sketches were used on the obverse of all the Boer coins from 1892 to 1897, and then on the obverse of Krugerrands. 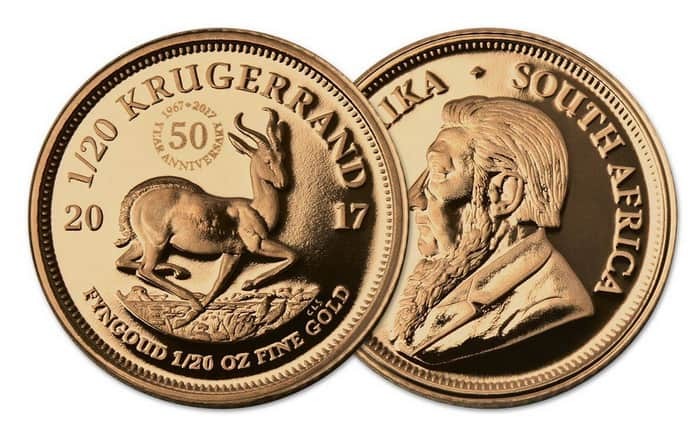 Kert Steinberg, South African sculptor developed the sketch of the springbok for the reverse of gold Krugerrands. This antelope is the national animal of South Africa. Tommy Sassen is one of the first South African engravers and sculptors who coped with the task of transferring the sketches of Schulz and Steinberg to the 1967 Krugerrand. 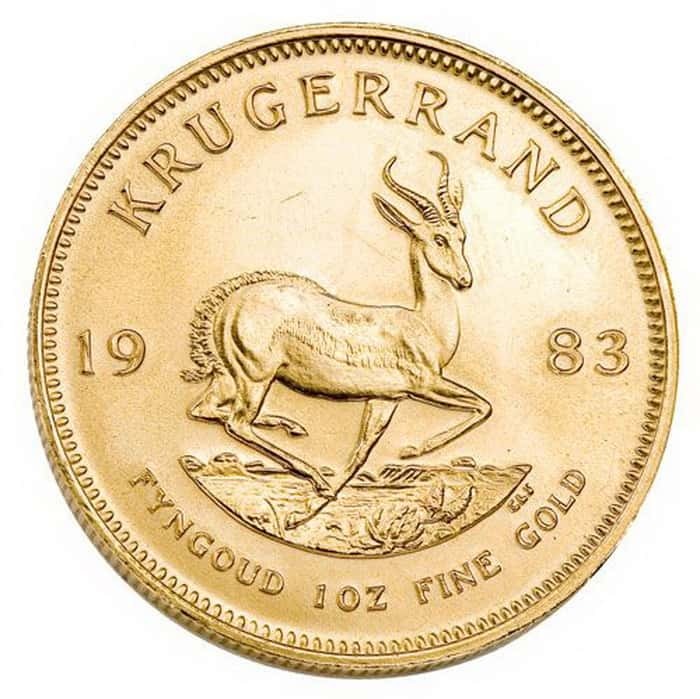 The design of Krugerrands has remained unchanged for 50 years. Only coins minted in 2017 have a small anniversary mark with the number “50”. The center of the coin shows the face-side of South African President Stephanus Johannes Paulus Kruger. 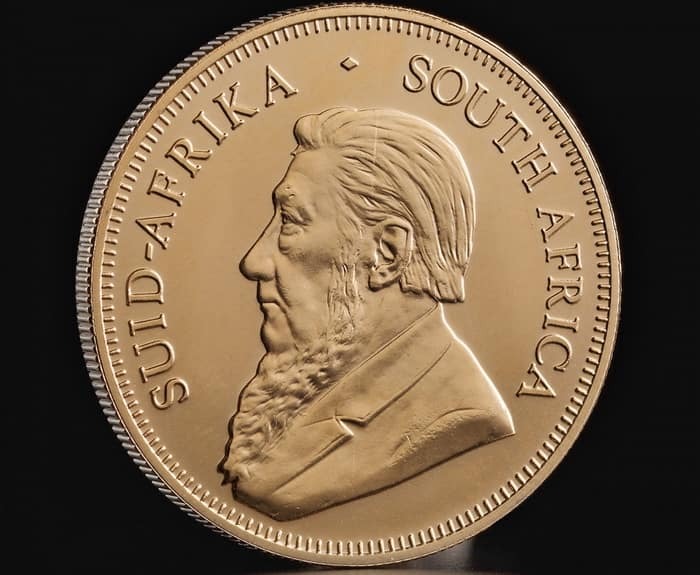 The inscription “SUID-AFRIKA * SOUTH AFRICA” is engraved above it, and the edge of the coin is decorated with a jagged ornament. 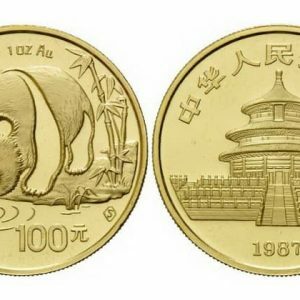 In the center of the coin there is a running antelope. Above it there is the inscription “KRUGERRAND”, denoting the name of the coin. The year of mintage is indicated on both sides next to the antelope, and along the bottom edge the information on the coin’s composition and weight in ounces is engraved. The edge of the coin is also decorated with a jagged ornament. On coins of 2017 in the left upper part of the coin, the sign “50 year Anniversary 1967-2017” is engraved next to the antelope. The South African Mint, located in the province of Gauteng near Pretoria, has been one of the leading manufacturers of coins since its foundation in 1890. It produces coins for the South African Reserve Bank. Today, the Mint produces gold and silver coins of South Africa (including Krugerrands), as well as medals. In addition, here are minted the coin planchets and ready-made coins for a number of other countries in Africa, South America, Asia and Europe. Each coin has also a certificate confirming its authenticity. Gold Krugerrand of 1/10 ounce denomination began to be issued only in 1980 in order to make this coin more accessible to potential investors. 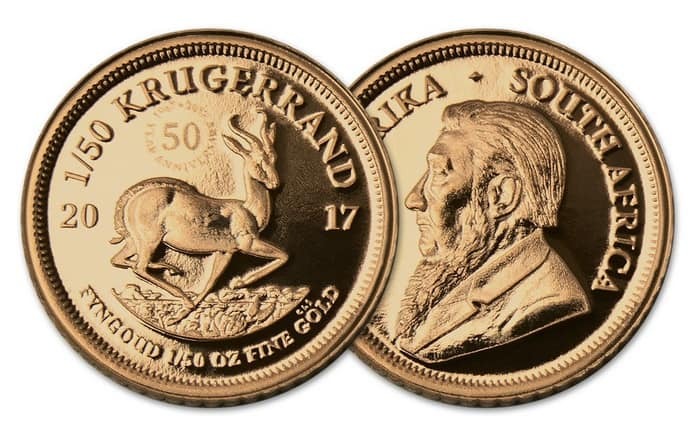 Gold Krugerrands of 1/20 and 1/50 ounces were first issued in 2017. 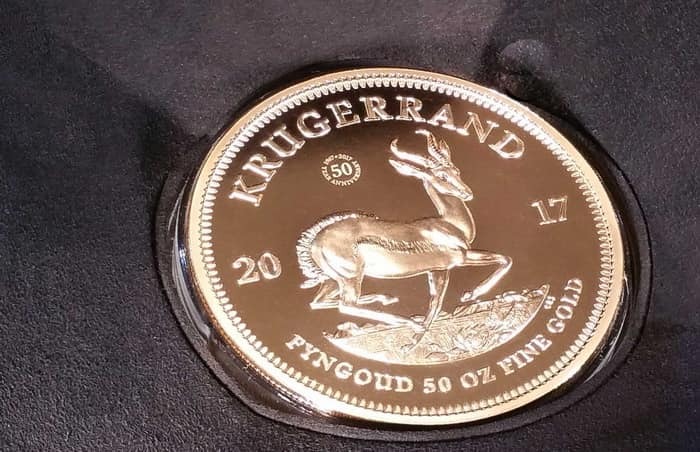 All gold Krugerrands of this year have an anniversary commemorative sign, but at the same time they do not differ in design from the coins of previous years of issue. If you buy a set of several types of Krugerrand, you will get the book by D.F. Malan, which tells the story of Krugerrand coins. In addition, the South African post office issued printed sheets and the first envelope dedicated to the 50th anniversary of this coin. 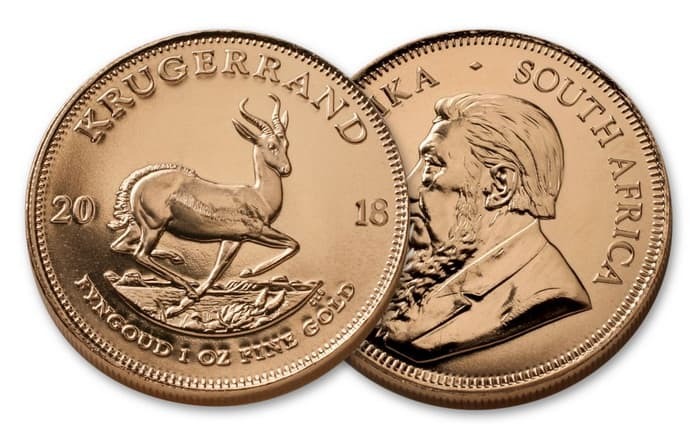 In addition to gold Krugerrands, the South Africa gold coins of the “Nature” series that reflect the richness of nature in South Africa are very popular among numismatists all over the world. The full name of the famous South African President, depicted on all Krugerrands is Stephanus Johannes Paulus Kruger, better known by the rather respectful nickname “Uncle Paul”. He was President of South Africa from 1883 to 1900. In 1880, together with Joubert and Pretorius, led the resistance against Britain, which was the beginning of the Anglo-Boer War of 1880-1881. Already in 1884, he strived for the signing of a convention, but he made concessions and a commitment not to conclude any agreements without confirming them with the British government. 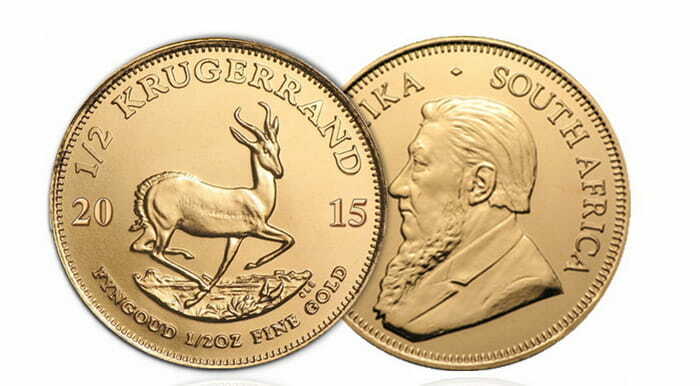 The first Krugerrand, being a legal currency of South Africa, did not have a monetary denomination. At the same time, their price was fixed daily and determined by the spot rate of gold. So the Krugerrands were coins with constantly changing value. The first gold Krugerrands were produced annually with small differences in diameter and thickness. 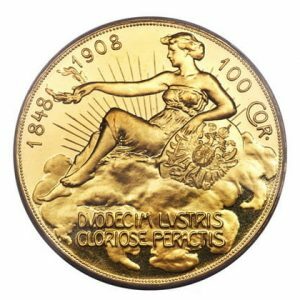 Over 50 years, more than 61 million coins were minted, which is 58 million ounces of gold. Nowadays, the total value of all issued Krugerrands is $ 70,000,000,000. Gold for manufacturing of Krugerrand coins is supplied by the Rand Refinery. 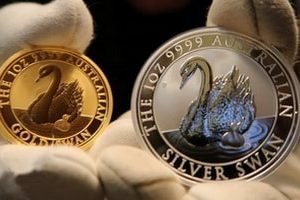 In the period of world currencies instability, investors all over the world began to turn to gold assets, which significantly increased the value of this metal. 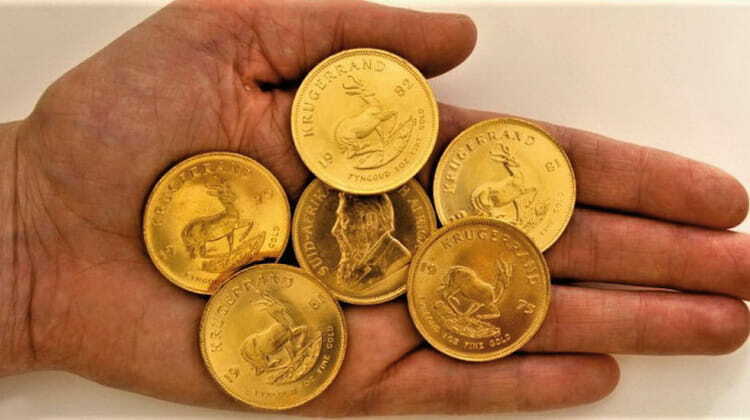 It was the year (1967) when the Republic of South Africa presented their gold Krugerrands on the world market.